Do you know how to save money on your taxes by utilizing HSAs and FSAs? Most people don’t have a clue. The fact is, depending on what type of health insurance policy you have you could be saving hundreds of dollars a year by utilizing a properly managed HSA or FSA, but the benefits don’t end there. Health insurance is expensive, which has given rise to the “high deductible plan” with a low cost for premiums. Most people see this as a cost savings only, but it is actually more of a way to free up premium costs to pay for your own healthcare out of pocket. In other words, that money you save on premiums should go directly into an HSA, where you can make better use of it than you would just paying straight health insurance premiums. HSAs, or health savings accounts, allow you to make tax-free contributions to an account that earns interest and can grow and be used in perpetuity with tax-free withdrawals for qualified expenses. That means that right now during your prime earning years you can be putting away cash in an account that will earn interest to pay for your nursing home expenses and end of life care. It also means that you can pay for your medical expenses interest-free right now, which is a way better use of your resources than health insurance premiums. Once you retire and you start to use Medicare you can no longer contribute to your HSA, but you can continue to draw from it to pay your qualified medical expenses. Unfortunately most people don’t qualify for HSAs - currently only about 19% of Americans have HDHPs. You have to have a HDHP, or high deductible health plan, in order to qualify for an HSA. Fortunately most people with traditional health insurance plans DO qualify for FSAs, which can still offer significant tax savings on medical costs. There are no eligibility requirements, you can only put in $2650 a year, and if you don’t use it all only $500 is able to be rolled over to the next year’s balance. If you have additional money left in your FSA at the end of the year over and above what can be rolled over you lose it. That’s why it’s so important to know what you can spend these accounts on so that when it comes down to the end of the year you can make those final purchases to keep your money in your pocket. Some of the things that are qualified medical expenses that people don’t always think about include vision screenings and glasses, dental care, mental health care, addiction care, and more. 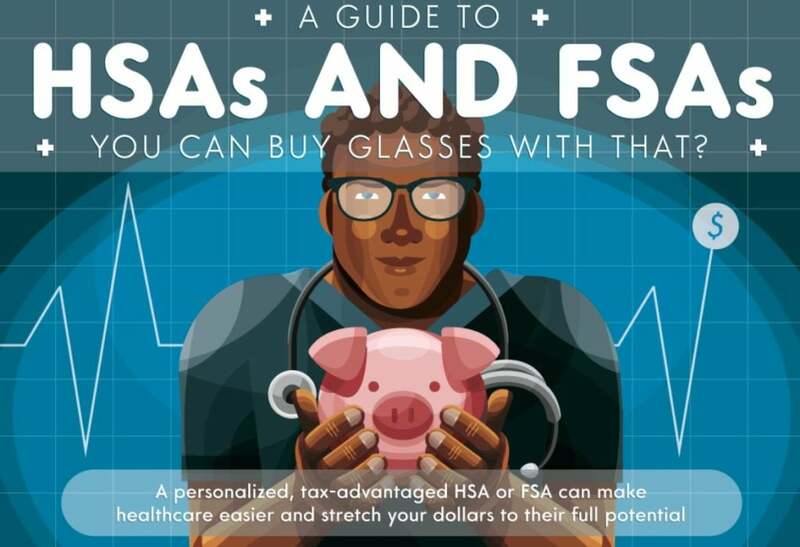 Learn more about making the most of your FSA or HSA from this infographic!